An excellent fit for high volume operations, Dominion offers clean lines, a traditional design, and superb value. 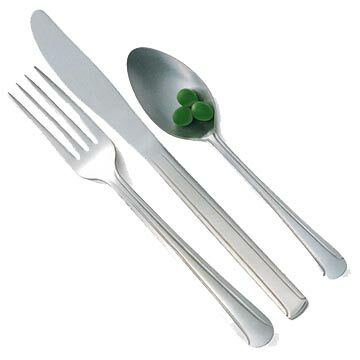 Dominion flatware provides outstanding durability and a familiar feel. The 18% chrome stainless steel construction means presentation with a soft shine at an extremely comfortable price.